I know it has been a while since I posted but here I am ready to get back into it. 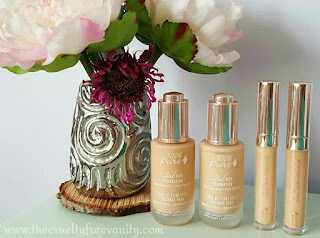 I'm back with a requested review, I was asked to share my thoughts on the new-ish concealer from Juice Beauty. The Phyto Pigments Perfecting Concealer. I've had this concealer for quite a while now, got it right when it came out in the beginning of this year. It's been my go-to cream concealer and I'm obsessed. You can find all of the new Phyto Pigments line on the Juice Beauty site and Ulta! Alright, let's get down to business. There are currently 5 shades, Fair, Buff, Cream, Sand & Medium Tawny. I bought the shade Sand (beige) which is a great match for my skin tone. I mostly use it to conceal my dark circles since Sand is the perfect shade for my skin tone. In the summer when my skin is tan it works great as a brightening concealer. The retail price is $24 for 5.5g of product, Juice Beauty offers 15% off when you subscribe to their emailing list. If you buy it at Ulta I'm sure you can use your points and don't forget to use your Ebates to get cash back! "High-pigment, creamy formula delivering natural, crease-free coverage that blends seamlessly without settling into fine lines. Plant-derived Phyto-Pigments conceal discolorations, dark under-eye circles, and other skin imperfections. Concealer layers lightly for buildable medium-to-full coverage resulting in a beautiful, luminous finish. 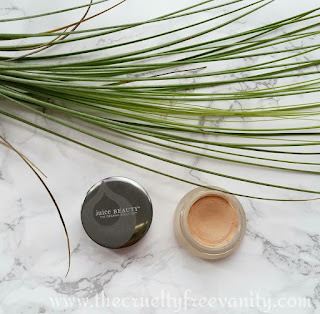 More than a concealer, it also works to visibly reduce fine lines and wrinkles for a smoother, younger looking complexion." This concealer is amazing, a product I will be repurchasing for sure. Let's start with the beautiful packaging, a frosted glass pot with a gun metal-ish lid, very luxe and sleek love love love! Now on to that actual concealer itself. In my opinion and experience with this product, most of their claims are true. This formula is very pigmented, it does conceal my under eye area pretty darn good, it is also great to conceal the blemishes around my face. It does have a buildable medium to full coverage. Love the radiant finish it provides, I usually avoid matte concealers because the skin under my eyes tends to be on the dry side. A good moisturizing concealer is a must for me because it helps with my fine lines. 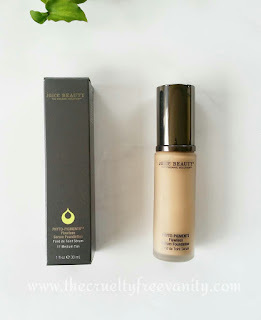 Now that we are on the topic of fine lines, if my skin is very very dry and I don't apply an eye cream prior to applying this concealer it does settle into my fine lines just a bit. That is why prepping my skin prior to applying makeup is a must in my case. When my skin is nicely prep it does not settle and I do see a smoother appearance which is always nice. 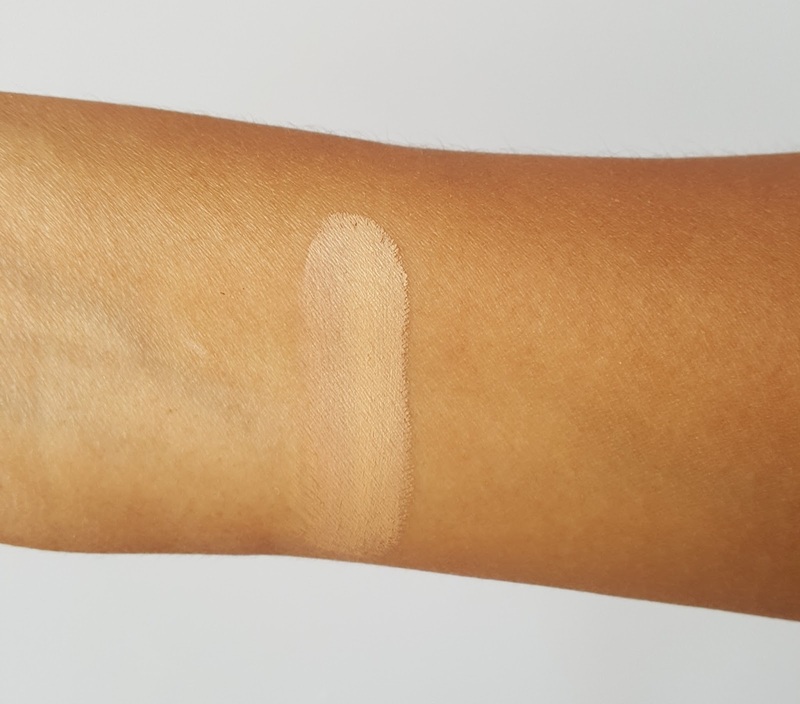 As for the creasing, this does crease on me but honestly all of the concealers I own crease on me, even the loose powder concealers, so a bit of creasing is not a deal breaker for me. I find that when I use less there is not much creasing so that is my tip for you, less is more with this concealer. Like literally a little goes a long way, this concealer is gonna last you a long time. Another thing I wanted to mention is that the texture feels like a cream to powder formula, it's creamy but it also feels powdery if that makes any sense hahaha. It last quite a long time, I get a good few hours of wear. 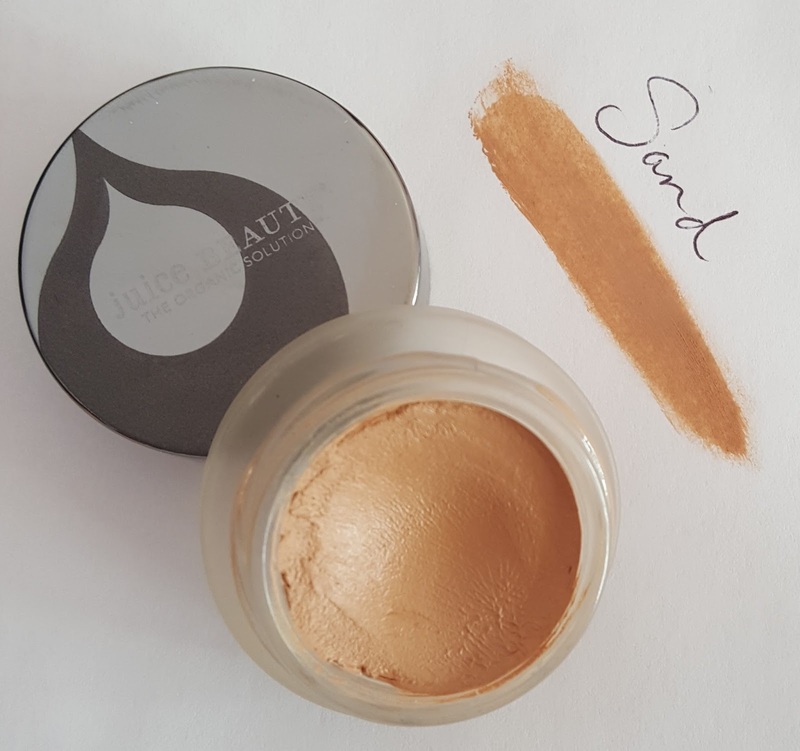 I prefer to use this concealer with a very damp makeup sponge, it applies like a dream, blends seamlessly leaving the perfect coverage. I've applied it with my ring finger which is nice too but not as nice as with a damp sponge. Last but not least this formula is made with some organic ingredients including organic coconut oil. Because of the coconut oil, in the colder days I find that I have to warm it up a bit with my fingertips to get it going and on warmer days, it is way more creamy. The formula is pack with wonderful ingredients such as organic carnauba wax, organic grapeseed & jojoba oil plus more, there is nothing in the ingredients list that worries me or that I would not put on my skin. Overall, I do really recommend this concealer. 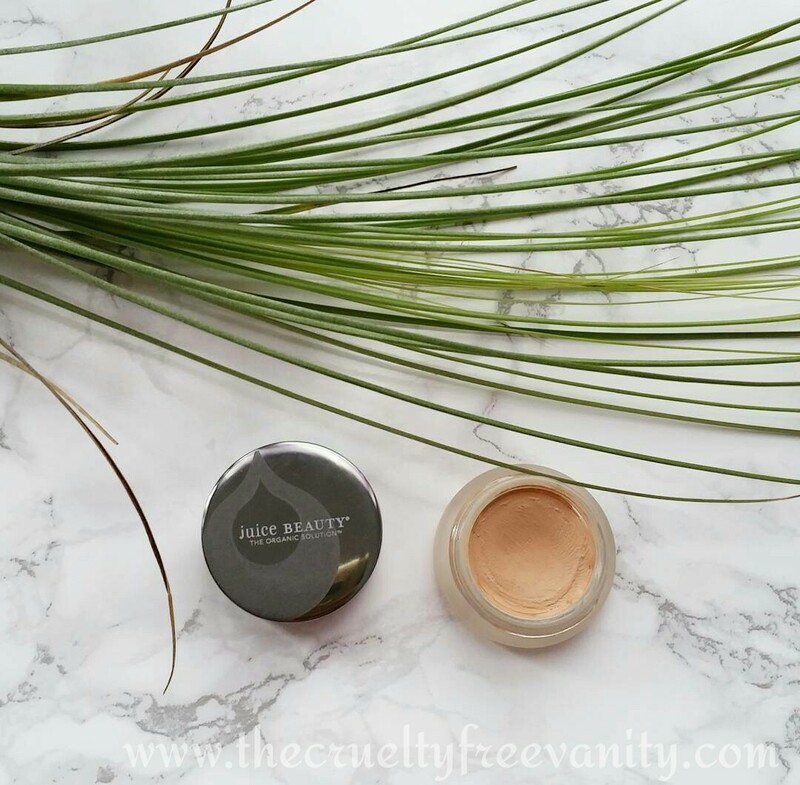 I have tried lots of natural, vegan, organic concealers and so far this one is the best and of course one of my favorites. Have you tried this concealer? If so what are your thoughts? Please share down below so we can all benefit from your experience. 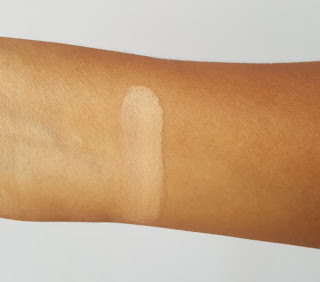 Swatched on my tanned skin. Hope this post was helpful, thanks for stopping by. P.S. Remember to shop cruelty-free! *** Not a sponsored post, product was purchased with my own money. All thoughts and opinions are honest and my own. Some affiliate links. If a purchase is made through my links I get a small commission, thanks. All photos featured are my photos (taken by me) unless stated otherwise.